Tony Davis practises in all areas of serious criminal law and is recognised as an experienced member of the criminal team. He is regularly instructed by some of the top criminal firms in the North East Circuit particularly in large-scale investigations into organised criminal organisations which result in multi-count indictments alleging conspiracy to supply/importation and distribution of illegal drugs. He has developed strong expertise in money laundering and lifestyle offences whether alleged against corporate bodies or individual offenders. 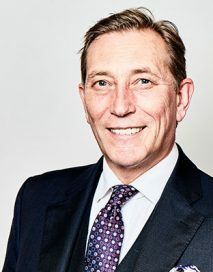 He has been involved in many of the important proceeds of crime cases heard in the North East prosecuted by the Serious Fraud Office some of which have resulted in landmark Court of Appeal decisions. Tony has a particular interest in all aspects of telecommunication evidence and offences. He has undertaken many cases involving allegations of historical sexual abuse and has continued to develop specialism in the mental health area particularly where cases involve young defendants with psychiatric difficulties. R. v. Sayers & Colwell : : 2008 Serious Fraud prosecution of high profile OCG in North East of England which produced United Kingdoms first application to try Defendants without Jury. R. v. Ruddick EWCA : (2003 Crim 1061, 2004 Cr. App.Rep 7, 2003 Crim Law Review 734) – Confiscation and Proceeds of Crime Appeal case. R. v. Stewart : 2001: Defence of major distribution of Class A drugs in North of England. R. v. Thexton : Defence of OCG specialising in the Robbery of Cash from various institutions and involving multi police force investigation.